MIAMI, Florida -- As of 9:44 p.m. on Saturday, May 17, 2014, a great white shark weighing over 2,000 pounds that was tagged with a radio transponder to be tracked by satellite has had its latest ping location approximately 13 miles east-southeast of Miami Beach, Florida. The 14-foot great white shark, named Katharine, has steadily made her way down the east coast of Florida beginning in April. Katherine has been off the South Florida coast since May 13th. 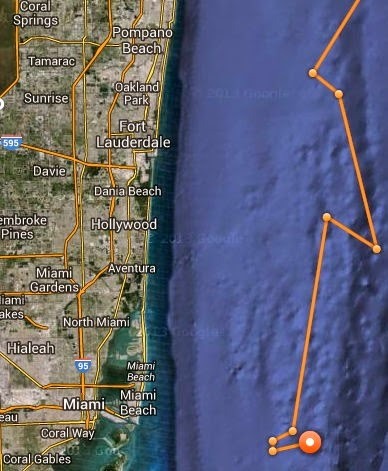 Yesterday, the great white shark was off the coast of Fort Lauderdale.